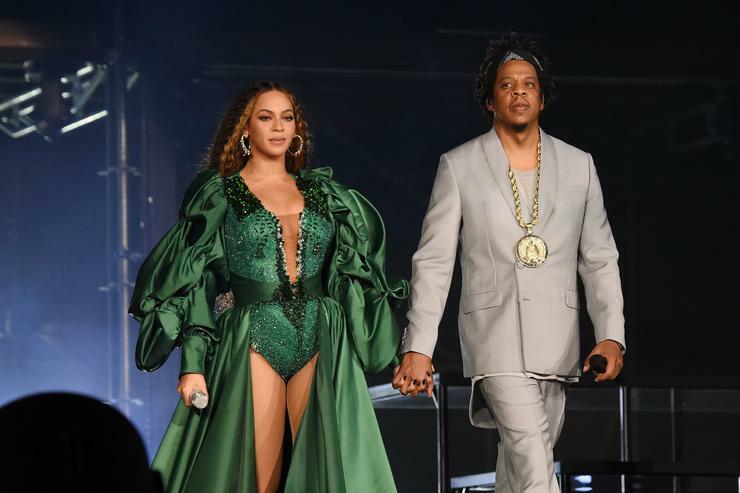 With a combined net worth of a staggering $1.2 billion, there’s no disputing Beyonce and Jay-Z’s power-couple status in the entertainment industry. Near-universally acclaimed for their unique contributions to hip-hop, R&B and the culture as a whole, the partnership between Bey and Jay seemed to be a solid, untouchable and natural union of two artists at the top of their game. However, claims of infidelity, dishonesty, and the addition of one Becky With The Good Hair into their relationship made waves in their marriage and caused haters and the Beyhive alike to wonder if the two mega-stars would eventually go their separate ways. However, thanks to counseling, communication, hard work and studio confessionals, Bey and Hov have recommitted themselves to one another and are now stronger than ever. After doubling down on their commitment to one another, the Carters don’t hesitate to splash their (now) happy marriage all over the ‘Gram. For all the cutest, most happily-in-love pics of Bey and Jay together on social media, check out the gallery below. Getting presented with the prestigious Vanguard award is one thing, but Jay-Z calling Bey the “greatest living entertainer” on-stage is in a class unto itself. What better place to share a kiss than in the city of love? Married for nearly 11 years, and still going strong. How is it that Bey can pull off a smoldering look aimed at her hubby while wearing sunglasses? For the Carters (and their offspring), posing on the red carpet comes naturally. “This year has been monumental for me. I thank God for everyone in my life. I’m looking forward to continuing to learn from my past, living in the present, and surrendering to the future,” writes B in honor of her 2018 trip around the sun. “I’m doing what I love most with whom I love most. I wish it could never end,” says Bey of her time spent touring with Jay-Z. In front of thousands of tour attendees, Jay-Z proudly shows off his feelings for his wife. If you thought you had a good year last year, take a look at Beyonce’s 2018 and think again. 11 years of marriage and Jay-Z still holds Queen B like they’re posing for prom pictures.